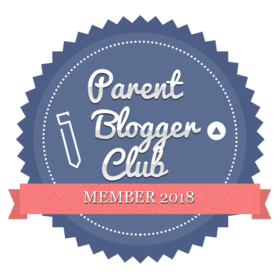 I have been nominated for The Mystery Blogger award by the Rachel – be sure to check out her blog I have really enjoyed finding out all about her, I love how her posts are so open and honest. This is my first blog award nomination as I have only been blogging on a personal platform for around a month and can’t quite believe how lucky I am that Rachel has acknowledged my blog in this way – Thank you! I am really enjoying finding out more about the blogging community and reading all of the wonderful posts. I think it is lovely how the community supports and encourages each other and can’t wait to get to know more of you as I continue on this road. The award was made by Okoto Enigma, go have a look at her post and her blog. Here is the Original post. Now, what is The Mystery Blogger Award? My star crush is Mike Myers – especially love him as Austin Powers, yes I know I have bizarre taste! Believe it or not my ideal holiday would be anywhere with snow. When I actually have some time (rare nowadays with 3 kids and blogging), I love nothing more than to get my teeth into a book or two. If I really enjoy a book I can easily read a whole one in day. 2. How long have you been blogging, and why did you start to blog? I have been blogging for around 5 months over at The Socialite UK however my personal blog has only been on the go for a month. I had been debating starting a blog for years but never had the confidence until the editor at The Socialite gave me the opportunity to joint them which helped my confidence grow enough to start my own. 3. What would your dream job be? My ideal job would be a writer or journalist which is a dream I have held from a very young age. I actually had gained a place on a journalism course at 18 however circumstances meant I was unable to go but the passion has always remained. 4. What is your favourite movie or book? 4. If you could turn any activity into an Olympic sport, what would you have a good chance at winning medal for? This is a tricky question and I couldn’t decide between sleeping or tidying up after the kids! Given half a chance I could sleep for England however I am also a pro at picking up all the discarded junk the kids leave a trail of as they flit from room to room! I have chosen people whose blogs I have really enjoyed reading ! Where would you like to see yourself and your blog in the next 5 years? (Funny/weird question) If you could date any celebrity who would it be and why? Once you’ve written your post please comment the link below so that I can check it out! Thanks for reading I hope you enjoyed reading it as much as I have taking part! Thank you so much for the kind words!💕💕 And if you wanna visit somewhere with snow… you should’ve been where I live last year! 4 months of getting a crap ton of snow… I was housebound because my small car couldn’t even get out of the driveway! I will be doing this again sometime in the future.